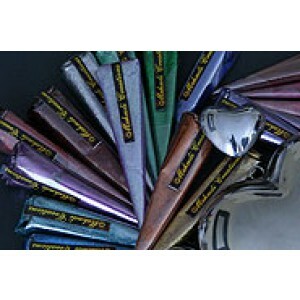 Pack of 10 Body glitters in mixed colours. Body Glitters are great for accentuating your mehndi on a mehndi night, as body art to match the hues of your outfit or as facial decoration. This product is not absorbed by the skin and therefore doesn't stain the skin. The mixture of glitter with body glue is 100% skin safe. It's available in assorted colours. Gems can also be used to beautify the look of the glitter. Simply snip off the end to use and seal with a small piece of sellotape to reseal. Once applied on the skin, allow to dry for approximately half an hour. It will usually last for about a day but can wipe off with aggressive rubbing or perspiration. It can be washed away with warm water and soap. There are no refunds on this item once purchased due to the nature of this product.